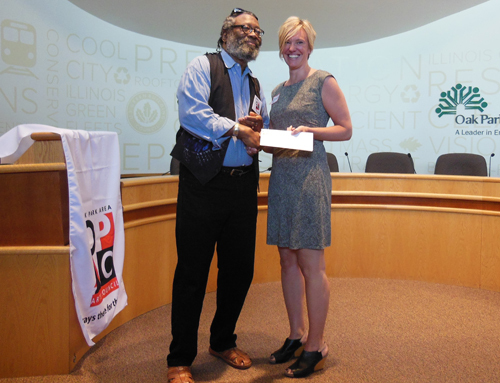 Thank you to the Oak Park Area Arts Council and their generous support of OPEF’s Art Start (which previously won Best in Class Award for Educational Programming!). Here’s Art Start program coordinator Jill Goldstein accepting this year’s grant check from George Bailey, OPAAC board vice president. With OPAAC’s support, we’ve used the arts to get kids fired up about learning for the past 15+ years! What a great partnership.